Beautiful, renovated 1 Bedroom and Den home!! DEN IS LARGE ENOUGH TO BE A 2nd BEDROOM! Huge master bedroom with good sized ensuite. Two full bathrooms and in-suite laundry with extra storage! Nice open kitchen with a breakfast bar. Newer paint, laminate flooring, baseboards & crown moulding. Great open and bright floor plan with a beautiful living room leading out onto a large, private covered, south facing patio to sit and enjoy the summer. Gas Fireplace. Two side by side parking spaces and 1 locker. Great location with walking distance to shopping, transit, parks, and schools. The Courcelles !! This rare one level, 2 bedroom, 1.5 bath townhome has as open and bright layout with a huge patio for you and your family to enjoy just off the living room. This place will be big enough to easily entertain all your guests with a large living area and kitchen! Well managed building with pro-active Strata! Secure 2 parking stalls and 1 storage. Short stroll from Silvercity Cinemas, Superstore, Bread Garden, Place Des Arts, recreational activities, parks and so much more. Close to transit and a quick commute to Burnaby, Vancouver, and Surrey. CROWN BY BEEDIE!! Beautiful, corner, south facing 2 bed 2 bath home! Open & bright floorplan with 8'6" ceilings & floor to ceiling windows. Modern Gourmet Kitchen with highend S/S appliances (Fisher & Paykel/Bosch). Gas range!! Quartz counter top with marble herring-bone back splash. Woodgrain laminate thru-out! Bright and large 2 bedrooms across from each other. Spa-like bathrooms with Grohe fixtures & Rainshower! Huge, covered balcony (121 sq.ft)!! Unobstructed southern views! Gym, cardio room and yoga studio. Games Room with TV sitting area. Guest Suite available for visitors. Fantastic Location! Just at the foot of Burnaby Mountain to SFU! EVERGREEN LINE and shopping just steps away! Beautiful, one of a kind, 3211 sq.ft, 5 bedroom 3.5 bath custom built home in sought After "Abbey Glen" in Fraser Heights!! Perfect for a growing family!! Located behind Pacific Academy and across the street from Bothwell Elementary. With a huge, 2 Bedroom 1.5 bath suite to help with the mortgage. 9526 sq.ft corner lot. Large & private West facing back yard great for entertaining! Sundeck off the upstairs livingroom. Gourmet kitchen with stainless steel appliances. Brand new high efficiency furnace and hotwater tank! Minutes away from Guildford Town Centre, shopping and restaurants. Fast access to #1 highway! This beautiful, well maintained 4 bedroom, 2.5 bathroom is located in one of the most sought-after neighborhoods in LINCOLN PARK!! It has fabulous street presence in this very quiet neighborhood! Front door is at street level with no stairs. Ground floor has an open floorplan with a large bright kitchen that opens to the dining room, living room and family room. The family room can easily be a 5th bedroom. One bedroom, half bathroom and laundry are downstairs too. Upstairs: Huge master bedroom with walk in closet and ensuite plus 2 large bedrooms and full bathroom. This home has been treated with Tender loving care and move in ready! Walking distance to beautiful Evergreen Park, transit, stores, elementary, middle and high school. Perfect location West of Main!! Solid, older house but mainly land value. Sold as is, where is. It is a great opportunity to build your dream home in a fantastic sought after neighbourhood! South facing back yard with lane access. Close to Langara College, J.W Sexsmith Elementary, John Oliver High School, Langara Golf Course, Oakridge Mall and all the restaurants/shopping on Main Street. KINGSBROOK in highly sought after GUILDFORD! Well maintained complex with FULL RAINSCREEN. Updated windows, patio doors and roof! Beautiful 3 level, 3 bedroom, 2.5 bath townhouse with Recreation room that can be used as a 4th bedroom. END UNIT. Large bright kitchen, an elegant dining room and living room which features a cozy gas fireplace. New high quality laminate flooring through-out! 9 foot ceilings on the main floor creating a Bright, open and spacious feel. 100 sq.ft Patio outside the Recreation room. Next to Harold Bishop Elementary. Central location close to Hwy #1, T&T Supermarket, Superstore, Guildford Mall. Easy to show. 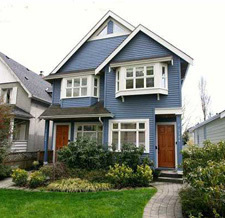 This home in BLENHEIM TERRACE is a Kitsilano Gem! Gorgeous 1 bedroom on the quiet side of building with a rare, PRIVATE 450 SQUARE FOOT TERRACE!! Great for entertaining friends and family at your summer BBQ's. In-suite Laundry, Gas Fire Place and great functional open layout. One parking and One storage! Bike storage available in building. Rentals allowed & 2 pets allowed. Easy access to UBC and all that Vancouver has to offer. Across the street from McBride Park, and just a short stroll to Jericho Beach. 2 blocks away from water's edge with awesome views of the city!! LOUGHEED ESTATES!! VERY RARE BUT AFFORDABLE!! ALMOST 1200 SQ.FT!! 3 BEDROOM TOP FLOOR, CORNER/END UNIT WITH 14FT VAULTED CEILINGS IN THE LIVING ROOM. AMPLE SIZED BEDROOMS, 2 BATHROOMS & INSUITE LAUNDRY! 1 PARKING 1 STORAGE. LARGE BALCONY. PRIME LOCATION. 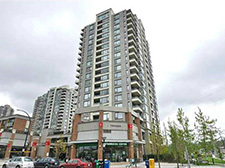 WALKING DISTANCE TO LOUGHEED MALL & SKYTRAIN. HIGH SCHOOL AND SFU NEARBY. HEAT IS INCLUDED IN MAINTENANCE FEE. AMENITIES: INDOOR POOL, HOT TUB & SAUNA. WELL MAINTAINED BUILDING. Beautiful and Spacious 2 bedroom-2 bathroom + Den home at THE PARC!! Gourmet kitchen with Stainless Steel Appliances and Granite countertops! Bright, Open floor plan with 9 foot ceilings and bedrooms across from one another. Large walk-in closet in Master Bedroom. Premium cork flooring throughout! Granite counter tops in bathrooms. In suite laundry. Large Balcony. Centrally located. Steps away from Coquitlam Centre Mall, Transit/Evergreen Line, LaFarge Lake, Aquatic Centre, Douglas College, Restaurants and other shopping! Las Palmas!! This beautiful 2 bedroom 2 bathroom home is in a very well managed and maintained, 26 unit, boutique building! Have peace of mind being in a fully rain-screened building (2001). Newer roof (2007). 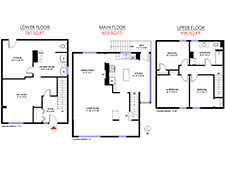 Great, functional floor plan with ample sized bedrooms. Laundry room with newer washer and dryer. Huge living room with gas fireplace. Kitchen with plenty of storage and new fridge. Larger sized balcony. 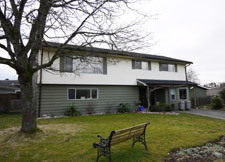 Very convenient location close to shopping, parks, restaurants, transit & schools. GRAND CENTRAL 3 by INTERGULF! THIS BEAUTIFUL 1 BEDROOM HOME IS ALMOST BRAND NEW. HARDLY LIVED IN. BRIGHT, OPEN FLOOR PLAN. MODERN GOURMET KITCHEN WITH HIGH END STAINLESS STEEL APPLIANCES AND PLENTY OF STORAGE. FLOOR TO CEILING WIDOWS. HUGE COVERED BALCONY. UNOBSTRUCTED VIEW OF THE SOUTHERN VALLEY. 1 PARKING & STORAGE. GREAT AMENITIES SUCH AS AN OUTDOOR LAP POOL, HOT TUB, GYM, HUGE OUTDOOR PLAY GROUND AND PARTY ROOM. LOCATION IS NEAR PERFECT. 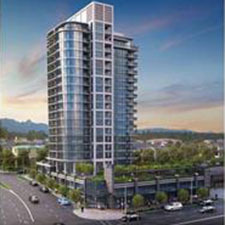 RIGHT ACROSS THE STREET FROM COQUITLAM CENTRE MALL AND STEPS AWAY FROM THE EVERGREEN LINE. SHOPPING, SCHOOLS, RECREATION AND PARKS JUST WALKING DISTANCE AWAY. JUST A SHORT DRIVE TO BUNTZEN LAKE, ROCKY POINT AND WHITE PINES BEACH!! Erickson Tower! 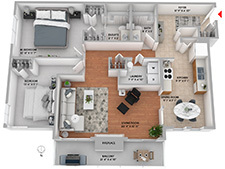 Spacious & bright floor plan. The kitchen had been updated (2010) with newer countertops, sink, tap & restored cabinets. The bathroom had been completely remodeled with newer tub, tiles, toilet & new Vanity. Other updates include new fresh paint throughout, new baseboards, new laminate flooring and lighting. You have a view of the mountains and Lougheed Town Centre. 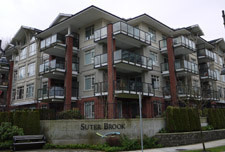 Excellent location to skytrain, parks, schools, SFU and other amenities. Just steps away from Lougheed Mall and other shopping!! This is a very well run complex. Concrete building. Re-Piped in 2016 with newer Roof (2014). Investors welcome!! NO RENTAL RESTRICTIONS!! FOCAL POINT~ This beautiful 2 bed, 1 bath, CORNER, SE Unit with a large covered balcony & your very own unobstructed view of the mountains and Mount Baker, lush trees and Langley cityscape. Bright, open layout with 9 ft ceilings! Gourmet Kitchen with quartz counters, sleek S/S appliances, soft close cabinetry, undermount sinks and Breakfast bar. Meticulous craftsmanship, quality finishings, beautiful vanity, tile & laminate throughout. Front load W&D. Secured Parking and Storage including space for your bike. Striking European-inspired Architecture, 2600+ sq.ft of private entertainment space with a rooftop terrace + 1000 sq.ft of conference & media space. Steps from restaurants, shopping, and transit. PENTHOUSE with mountain views!! Valko Gardens, a well-run Boutique Building with 12 units. Fully renovated with updated items such as top-line appliances, granite counters (kitchen & bathroom), kitchen cabinets, designer paint, outlets/switches, faucets, new toilet & laminate flooring. Lots of interior custom storage. 1 parking. Have peace of mind with entire building upgraded to HARDI-BOARD SIDING, new windows/sliding doors, new balconies, roof & fencing (2008-2009). The interior hallways, stairwells, entrance and shared laundry were also upgraded. Great location in a sought after, vibrant neighborhood close to schools, parks and shopping. This is great for investors or 1st time home buyers!! Come see for yourself. CHARM at Cedar Cottage!! This is a beautiful 2 bed 2 bath townhouse style home you have been waiting for! Over $40,000 have been spent on interior upgrades. Gourmet kitchen with stainless steel appliances and quartz counters. 11'6 ceilings with large windows give this home a bright and open feel. Bonus: The 2nd bedroom closet is large enough to be used as a den! Lots of in-suite storage plus a locker. HUGE 300 sq/ft private, outdoor patio and garden off of the living room is a great place to entertain! 1 parking spot plus plenty of street parking. Just blocks away from Sunnyside Park & the brand new Charles Dickens Elementary. Minutes away from Downtown. 'The Austin" in sought after Austin Heights! This 2 bedroom home offers beautiful laminate floors throughout with Stainless Steel Appliances, quartz countertops & backsplash, double under-mount sink plus breakfast bar. Bright and open layout with fantastic North-West views of the mountains. Office area for your computer. Large covered balcony accessed from the Living room and Master bedroom. Double closets that lead to your cheater ensuite. Bedrooms are on opposite sides of the living room for privacy! 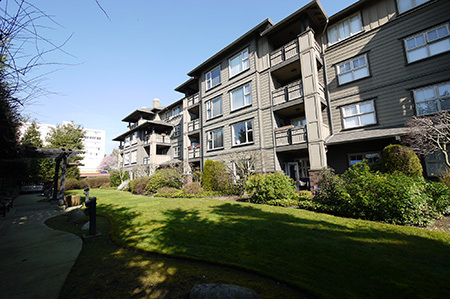 Close to the Vancouver Golf Club, shopping & rapid transit, this quality Beedie Building is a sound investment. Beautiful and luxurious executive home located in prestigious South Slope!! 8925 sq.ft lot. Quality abounds in this 8 Bed & 7 bath home. Bright, open layout with 10 ft ceilings and hardwood floors, Gourmet Kitchen with top line S/S appliances and granite counters + Wok kitchen. A/C and hot water radiant heat. Huge covered balcony with AWESOME SOUTHERN VIEWS!! Other features: 4 bedrooms upstairs all have ensuites, Built-in vacuum, steamroom in powder room, alarm system w. camera, Home theatre room with high-end A/V equipment. 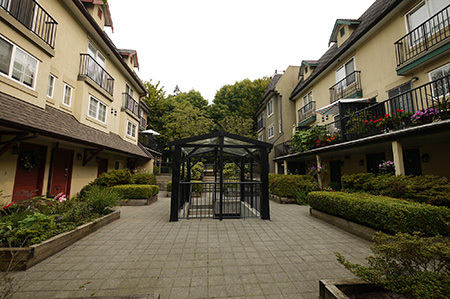 2 bed rental unit with a separate entrance. South facing backyard. Gated outdoor 2 car parking + 2 car garage. Close to schools and parks. This is a bright, 6 month old corner unit at The Grove. A brand new community in Clayton Heights built by award winning Townline Homes. This home has a gourmet kitchen with stainless steel appliances, 2 bedrooms & 2 full bathrooms. Large balcony. Private garage with extra outdoor parking stall. Fantastic Amenities with two Clubhouses including 2 gyms, pool tables, 2 party rooms, 2 movie theatres, indoor floor hockey, outdoor playground and an outdoor swimming pool! Situated across from Katzie Elementary, also just 5 minutes from Hwy 1 and just up the street from Willowbrook Mall making this a prime location! Marcon built Cornerstone Phase 2 - 1 bedroom and den larger south facing unit. Bright, spacious & modern 732 sqft unit with 9' ceilings. Open kitchen design with stainless steel appliances, quartz countertops, soft-closing backlit cabinets. Gorgeous laminate throughout. Master has walk-in & cheater door to huge spa-like bath. Huge covered balcony! 1 parking and 1 storage. Walk to shopping, recreation & Kwantlen College. PENTHOUSE STUDIO WITH FANTASTIC VIEWS!! TV Towers. Bright, open and functional layout with den. In-suite Laundry, Balcony, Floor to ceiling windows with unobstructed views. 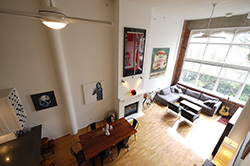 Building has a lot to offer - Concierge, bike room, exercise centre, sauna & steam room. Pets allowed with restrictions and rentals allowed. Low maintenance. Walk everywhere you need to go. Steps to amazing shopping, dining, stadiums and library - its all here in the heart of downtown Vancouver. This is what downtown is all about - come see for yourself!! THE CORNERSTONE. Beautiful 1,360 sq. ft. DREAM LOFT conversion in a heritage church built in 1909. Very bright open space with a Soaring 16'6 ceiling and 14' heritage windows. 2-level loft. Brand new gourmet kitchen with high-end SS appliances. Huge master bedroom and full bathroom on ground floor. Enormous second bedroom (room for an office) and bathroom on mezzanine. Brand new updated laundry room with new Washer/Dryer. Plus many other updates. Oak floor in main living space, H/W radiant heat throughout & gas fireplace. Secure U/G parking spot and bike locker. Must be seen to be truly appreciated!! Just steps away from shops & restaurants on Main street. This beautiful, meticulously cared for home is the one you have been waiting for! Located in one of the most sought after areas in Coquitlam, it backs on to Scott Creek Park giving the huge, west facing back yard a tranquil and private feel. 2400 sq.ft of comfortable living space with 4 bedrooms, 3 bathrooms, dining room plus a huge recreation area downstairs. Large kitchen with eating area. Storage is plentiful. Hardwood floors throughout. Double car garage. Built-in Vacuum. 10 x 26 Sundeck. Convenient separate entry to Basement. 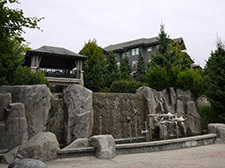 Amenities such as Schools, Parks, Aquatic Center, Coquitlam Mall, Restaurants and Evergreen Line are close by. PARKSIDE PLACE west of Denman. Have confidence with this FULLY RAIN-SCREENED well managed building containing 22 units. This fully renovated, large 1 bedroom unit corner has a great layout and plenty of internal storage. Upgraded kitchen with Stainless Steel Appliances. In-suite laundry. BALCONY. One parking and storage. Just steps away from all the shops, restaurants on Denman and Robson plus a few blocks from the beach including Stanley Park. Must be viewed to be appreciated. The DISCOVERY. A well maintained building with a proactive strata. This is a bright, south/west facing 1 bedroom home with FANTASTIC WATER VIEWS! Great layout with a big Master Bedroom. The kitchen has brand new stainless steel appliances, new hood fan, granite counters and backsplash. Brand new Washer & Dryer. 1 Parking & 1 Storage. Large Balcony. 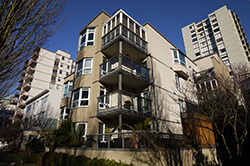 Steps away from the Seawall and Aqua Bus to Granville Island. This would make a great home or investment property. Definitely one to view and won't last long. Meticulously cared for 2 bedroom/2 bath home has 1089 sq.ft of spacious-bright living space. Floor to ceiling windows in all the rooms. Large, functional kitchen with enough space for an eating area. New carpets throughout. All bedrooms have access to the huge covered balcony. Very big in-suite laundry room. 1 parking & 1 storage. Amenities include an indoor swimming pool, gym, hot tub, sauna, squash/racketball court and beautiful shared garden area. This Bosa built concrete building is well maintained & managed. Central location with short walking distance to schools, Coquitlam Centre Mall, LaFarge Lake, Town Centre Park, Library, Aquatic Centre, Restaurants and EVERGREEN LINE. This one definitely should be viewed. 317-808 Sangster Place, New Westminster BC V3L 5W3. "THE BROCTON" an elegant, Whistler Style building. This beautiful 2 bedroom ,1 bath suite has a tranquil and airy feel. Upgraded stainless steel appliances, laminate flooring, new carpets in bedrooms, designer paint scheme, pre-wired for surround sound, security system, in-suite storage & laundry & TWO UNDERGROUND PARKING SPACES!! Great location with access to Canada Games Pool, Queen's Park, Schools and shopping. Beautiful executive Half Duplex built by Parklane Homes in sought-after Westwood Plateau. Very bright and open layout! Gleaming SOLID HARDWOOD floors throughout with new high-end carpets in bedrooms. All bathrooms renovated with quartz counters, new faucets and sinks. Updated large gourmet kitchen with granite counters & SS appliances (Gas/electric range). 18 ft vaulted ceiling in the family room & 10ft ceilings on the main floor. Huge recreation area downstairs. This luxury home offers plenty of space for a growing family. Double car garage. Fantastic garden area backing onto the 14th Fairway of Westwood Plateau Golf Course! Schools, Parks, transit and shopping close by. This home has to be viewed to be appreciated! Affordable, large 2 bedroom corner unit in Glenview Manor! Open and spacious layout will fit house size furniture easily. Crown Moldings in living room with a professionally painted interior. Laminate and Tile Flooring thru-out. Open, large Kitchen for the person who likes to cook with a useful pass through to the Dining area. Bedrooms are ample in size. Nice covered balcony with a peaceful view of a green belt and Hoy Creek Salmon Stream. Solid building! Fully Rain-Screened, Re-roofed and Re-piped with a very proactive strata. 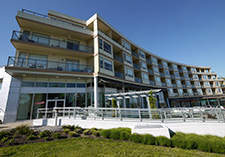 Central location with short walking distance to Coquitlam Centre Mall, LaFarge Lake, Town Centre Park, Library, Aquatic Centre, Restaurants and other shopping. Welcome to the majestic 'Belvedere' at City in the Park. 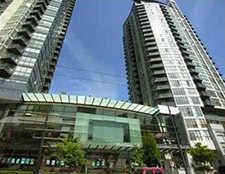 Bright & spacious 2 bdrm/2 bthrm condo with 9ft ceilings. Luxury residence with quality finishings including granite counters and stainless steel appliances. HUGE PRIVATE 250 sq.ft BALCONY perfect for entertaining! This building has beautiful gardens & fountains plus it backs onto parkland. Amenities include exercise center, hot tub, theater room & more. Just steps from the skytrain & just minutes from schools/parks, Metrotown & Highgate Shopping & more! Great building & an unbeatable location. Call to view today! 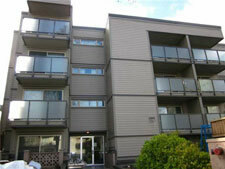 Spacious 2 bdrm suite in a well maintained, rainscreened building. Updates include newer laminate & tile flooring, newer bathroom, designer paint, glass tile kitchen back splash, blinds, newer appls,newer kitchen sink & faucet. Rainscreening, roof, gutters, windows, doors & balconies replaced in 2005. East facing stays cool in summer. Open kitchen with lots of cupboards. Huge insuite storage plus additional locker. INSUITE LAUNDRY!! as well as common laundry. Master bdrm is very large with cheater ensuite, extra closet and organizers. Very well run strata. No Rentals, No Pets, Age restriction 19+. 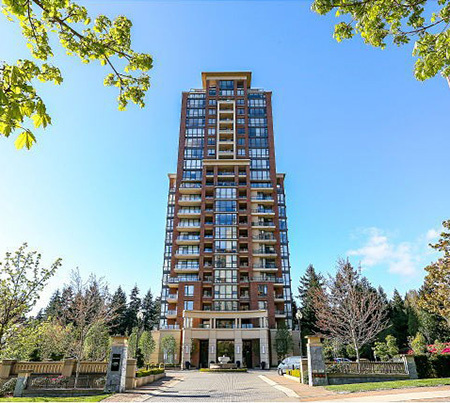 Steps away from to Coquitlam Centre, Restaurants, Skytrain, Aquatic Centre, & LaFarge Lake. This is a beautiful and lovingly cared for 3-4 Bedroom 2 bathroom home on a huge 10953 sq.ft. Lot. Many updates. Newer kitchen with Corian counters with plenty of storage space, slate floor through-out,original Hardwood in bedrooms, designer paint, newer light fixtures, solid wood doors. Central Vacuum. Recreation room downstairs with hobby room (can be 4th bedroom) and Large storage room. 2 level sundeck with motorized 18' awning. Fantastic 3 level garden Area with brick patio on 2nd level and a flat grassy area on the 3rd level. 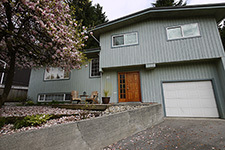 Walking Distance to schools, parks and transit. Must be viewed to be truly appreciated. 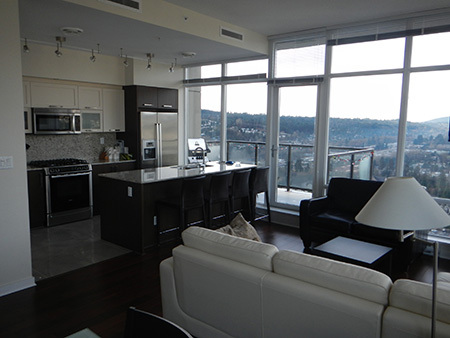 Beautiful & Rare, 3 bedroom 2 Bath PENTHOUSE at the LEVO! Solid fire resistant construction with acoustically engineered walls & floors between suites ensuring privacy. This home offers a bright, open layout with floor to ceiling windows & 10ft. awesome northwest views!! Many upgrades including Central forced air heating, BBQ GAS connection on the balcony, increased closet space, laundry room renovated to hold full size front loading machines, custom blinds, granite counters & full granite backsplash in an ultra-modern Kitchen with top of the line SS Bosch appliances and much more! 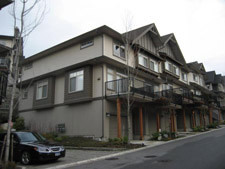 Just steps to Coquitlam Centre, shopping, Aquatic Center, Lafarge Lake and EVERGREEN LINE. 2 Parking Spaces close to the elevator & 1 Locker. Stunning, executive style home in sought after Westwood Plateau! Beautiful design & amazing layout. Gorgeous golf course views (front & back). This luxury home offers 4 bdrms & 4 Baths , 18 ft vaulted ceiling in family room, large gourmet kitchenw/ high end s/s appls ( Wolf, Kitchen Aid ), granite counters & stone backsplash. Gleaming Hardwood floors, New High Efficiency Furnace & Hot Water Tank, CENTRAL A/C, designer window coverings & leaf guard gutters. Large master bdrm with great golf course view & ensuite. Huge Lower Level has media room , recreation room and guest bedroom. Fenced easy care backyard backs onto the golf course with interlocking brick patio and hot-tub with heated Gazebo. Show Home Condition. 2602-838 W Hastings. JAMESON HOUSE offers the finest blend of design finish, technology and sustainability. Built by Bosa Properties. Designed by Fosters & Partners in North America. Auto-Valet parking system and 24 hour with Concierge. Sought after "02" unit with 2 bedrooms & 2 bathrooms. Excellent layout with bedrooms across from each other and a large balcony. Unobstructed City and Water Views. Interiors are finished with 9 foot ceilings, in-floor radiant heating, contemporary kitchens by Dada Cucina of Italy, Gaggeneau and Sub-Zero appliances and imported Travertine flooring.Across from the Terminal City Club. Walk to SKYTRAIN, STANLEY PARK, ROBSON STREET, PACIFIC CENTER MALL, CONVENTION CENTER. THE CRESSEY BUILT MILANO, a very well managed and maintained building. Do not be fooled by the size of this home! It has one of the best layouts you will see!! Everything is where it should be with no wasted space. This renovated suite has been meticulously, lovingly cared for. It boasts many built-ins and upgrades (Murphy Bed & Built-in Office in Den).Tile flooring through out. Newer paint. Gas Fireplace. Gas Stove. In suite Washer/Dryer. All you need to do is move in! Great for the 1st time home Buyer or Investor. Centrally located. 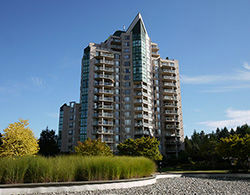 Just steps away from the seawall,restaurants, entertainment and transit. 1 Parking and 2 Large Lockers. Pets and Rentals allowed. THE BOULEVARD CLUB!! A SOUGHT AFTER GATED COMMUNITY. FULLY RAINSCREENED. This large 1 bedroom and den has newly installed beautiful laminate flooring and baseboards. Other great features such as Radiant Floor heating, gas fireplace, gas range, in-suite laundry and large balcony. This home has an open and efficient layout with a den large enough to be a 2nd bedroom. Located in a very convenient location: walking distance to Guildford Mall, Public library and Recreation center plus new pool being built. #1 Highway is easily accessed with transit nearby. Come see this home for yourself, you won't be disappointed. 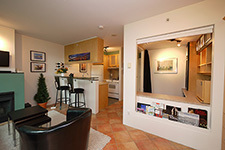 Beautiful 2 bedroom 2 bath corner unit at TANDEM 1. Bright and open layout with great mountain views!! Bedrooms are across from each other.Stainless Steel Appliances and Granite Counter tops in Kitchen. Huge balcony. One of the most sought after locations in Burnaby. Very Central. Just steps away from the Skytrain Station. Close to Brentwood Mall. Great amenities in the complex: hot tub, steam, party room, billiards and fully landscaped courtyard. Pets and Rentals allowed. SOMA LOFTS, a very well managed and maintained solid concrete building: BEAUTIFUL, 1 Bedroom & Den open floor plan with upgraded frosted glass room dividers; 10 ft ceilings with floor-to-ceiling windows; polished concrete floors; stainless steel appliances; gas stove & solid granite counters. Enjoy entertaining or simply relaxing on the huge, lush, 400sq.ft private patio(high above ground level) on the quiet side of the building. 1 oversized parking stall and 2 storage lockers. A great location, only a block away from Main Street's restaurants and boutiques. A pleasure to show and will not last long. Here is a unique 2 bedroom 2 bathroom + den corner suite at the PULSE in Kitsilano with breathtaking, unobstructed views of the City and Mountains. This home has a contemporary, open design with floor to ceiling windows and 9 ft ceilings that create a bright spacious environment. Many features come with this lovely home such as a gourmet kitchen with Stainless Steel Appliances from Bosch/ Liebherr, granite counter tops/ backsplash, heated bathroom floors, top of the line fixtures by KOHLER, acoustically engineered double glazed windows, parking beside the elevator and exterior storage, walnut stained oak floors, large balcony with gas BBQ outlet and much more. 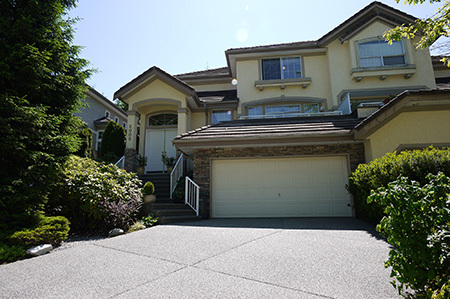 Here is a very rare and unique property in sought after Central Coquitlam. Great for a 1st time home buyer or developer. Just a few minutes walk away from popular and beautiful Como Lake. This home offers a great deal such as solid wood floors throughout, open concept design with flex room, Stainless steel appliances, gas range / stove, digitally controlled heated bathroom floor, 20x10 deck with hot tub, newer roof. There is a studio loft that can be used as an office and a large workshop below. Well-kept character style bungalow situated on a great south facing 33' x 122' lot in the heart of Kitsilano. Main floor features include inlaid hardwood floors, a wood burning fireplace, leaded windows and coved ceilings. There is a spacious deck off the kitchen, perfect for entertaining. Large back yard. Walk to schools, beaches, shopping and eateries. An ideal starter home or investment property. #4035-2655 BEDFORD ST. PORT COQUITLAM. Beautiful Georgian Style townhome built by MOSAIC has one of the most sought after floor plans in this development. Very private corner unit. Open layout, plenty of windows and high ceilings make this a bright and airy home! Gourmet kitchen with SS Appliances, quartz counters plus a huge island for preparation and entertaining, formal dining area, unique hanging fire-place, balcony from the main level, master bedroom with built-in computer desk, full ensuite bath, upgraded front loading washer and dryer. Two car tandem garage, Easy access to shopping and transportation routes. Walking distance to West Coast Express Station. Priced to sell! BROOKMERE TOWERS - Very well maintained complex. This 1244 sq.ft 2 bedroom 2 bathroom home boast a large open floor plan with a den that could easily be used as a 3rd bedroom. Fantastic north-east views from every window. Huge balcony. Amenities: indoor pool, exercise room, hot tub. Walking distance from shopping, parks, schools and transit. This pristine, quiet, top floor unit has a bright open floor plan with VAULTED CEILINGS. 2 Skylights for extra natural light (one in bathroom and above entrance). Great South-west exposure with a large balcony. 2 PARKING SPACES and a locker. This a home that you will be proud to show off. 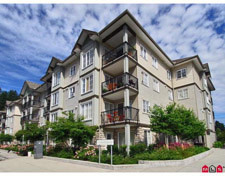 RAINTREE GARDENS is a well Maintained Complex that has a very pro-active strata . Location is ideal. 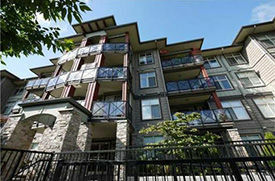 Close to skytrain, Shopping and parks. Must be viewed to be appreciated. DEVELOPERS' ALERT!!!! Here is an opportunity to build your dream home in the popular area of "The Heights". Land Value only. The house requires extensive repair. LOT 33x122, RS-1 Zoning with lane access. Great views of Vancouver City, North Shore Mountains and Burrard inlet is available if a new 2 storey home is built. Must sell. Bring all offers!!! 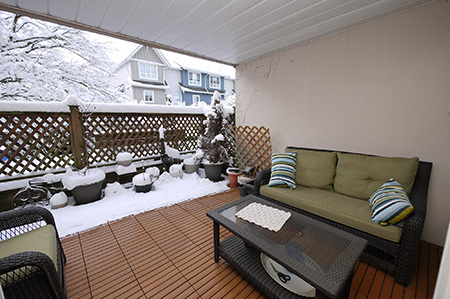 Here is a quiet & bright 1250 sqft TOP FLOOR townhouse with 2 bedrooms, 2 bathrooms + 1 den. 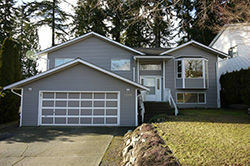 MANY MODERN UPDATES: New high end carpet and laminate flooring. New lighting fixtures throughout. Fully renovated bathrooms with Granite countertops, new tile floor, sink, faucets & vanities. The large Kitchen has a breakfast area, skylight and new Stainless Steel Appliances. New paint throughout. The Living room is bright and airy with a cozy gas fireplace. Large His & Hers closets. Very well maintained complex with recently replaced roof (2011). Close to shopping, recreation, schools and parks. One parking in shared garage + room for another car on the driveway. Storage & balcony. This home must be viewed to be fully appreciated. 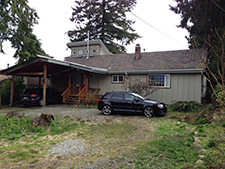 Here is a chance to build your dream home on large 8700 sqft lot. Solid 1130 sqft, 3 bedroom, 2 bathroom bungalow. Mostly land value. House is sold as is where is. Call for viewing. Here's a great Heritage Style 1000 sq/ft, detached, 2 level house with a unique, functional layout. 2 bedrooms, 2 full bathrooms. High-end stainless steel appliances, granite counter tops in kitchen and bathrooms, Hardwood floors, Italian Tiles, German high efficiency Boiler, Hot Water Radiant Heat. Heated 17'9 x 8'10 attached Garage. Enjoy the Newly fenced in Patio to enjoy summer BBQing or just enjoying the sun! It is an opportunity to own a house for the price of a condo in a fabulous neighbourhood. Have peace of mind with the remnants of the 2-5-10 Home Warranty. 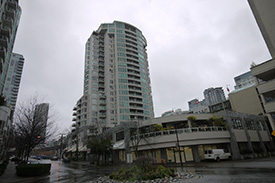 Landview Place-Here is a great 1 bedroom 553 sq/ft penthouse suite in a recently RAINSCREENED building. One parking and Storage. Steps from Commercial Drive. Suter Brook - Great floor plan- 2 bedrooms separated by the living space, a den which would make a great home office or small bedroom, 2 bathrooms, an extra large balcony, high ceilings, 2 parking stalls, and a storage locker! Ready for youto move in, this unit has engineered hardwood floors, stainless steel appliances, dark wood cabinets & granite counter tops. 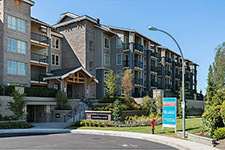 In the heart of Port Moody, close to everything you need. Beautiful 3287 sq/ft, 6 bedroom 3.5 bath home in prestigious Canyon Springs with a new roof! This 3 level family home is located in a private setting that backs on to a greenbelt. Plenty of space for a growing family! Vaulted Ceilings in living room and bedrooms upstairs. Gourmet Kitchen with SS appliances. Huge back yard with large deck and gazebo. Fantastic Location! Douglas College, High Schools, Middle schools, Recreation/Swimming Center, Lafarge Lake/Park, Shopping and Coquitlam Centre Mall all within a few blocks. This house is priced to sell. Hurry!! Terrific 1 bedroom home with many upgrades including new kitchen, laminate floors and designer paint. Not much to do but move in! Fabulous location with some views of English Bay. This suite is great for 1st time home buyers and investors. Come view for yourself and you will not be disappointed! Bring all offers! Here's a great opportunity to own a fabulous home a few steps from Kits Beach!! Beautiful, private corner suite with a unique 2 level design in a well maintained, proactive building. 1 bedroom and den. 1 full bath with powder room on main floor. In-suite Laundry, Gas Fireplace. Large balcony with views of city and water. Great patio off the Master Bedroom. Many updates inside. 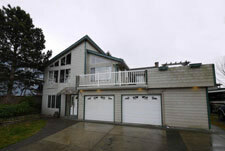 Close to the sea wall, kits pool, restaurants and 4th Ave shopping! Come see for yourself. 1st viewing Saturday and Sunday Sept 10 & 11 12-2:00 by appointment only. Fabulous top floor unit in Sunset Terrace. FRESH PAINT throughout with beautiful crown moldings; this unit has been meticulously cared for and features insuite laundry, laminate flooring and a gas fireplace. Great layout with a spacious oak kitchen complete with passthrough to the living space, feels much larger than the 746 sq/ft. This perfect location has you just a short walk away from Richmond Center Mall, the Canada Line and Richmond Public Market. Gas is included in your monthly maint. fee, comes with parking, storage, exercise room and a quick possession is available, all you need to do it move in! Recent work includes all balconies and Roof Replacement. Rarely available WATERFRONT home, 270 degree sweeping views of the Fraser River and North Shore Mountains. Exceptional floor plan features vaulted cedar ceilings; the main kitchen and bedrooms are upstairs to fully maximize this river setting. Enjoy sunsets from your front balcony (22 x14) which you'll find perfect for entertaining. The games room, three additional bedrooms and two baths on the entry level plus an oversized double garage complete this 3000 sq/ft home. The expansive deck addition and new roof were completed in 2003, new pipes in 2009. This one of a kind custom built home is situated on an 8900sq/ft lot with coach house development potential. Walk to do your shopping at Terra Nova Village. By appointment only. 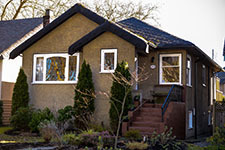 Here is an opportunity to own a lovingly cared for home in a great Vancouver neighbourhood! Very bright, open living room and kitchen with 4 bedrooms & 2 bathrooms (2 bedroom suite downstairs). New roof and furnace, 2 laundry facilities. Huge sundeck, carport and garage. This great home is located within walking distance to Transit and parks. Hurry this one will not last! This Great end/corner unit ONE owner home is immaculately kept, it is located in a quiet and well run town home complex in Maple Ridge in an area of expensive homes. The bright and open layout makes this home feel like a detached home. The main floor has an open style kitchen with new laminate flooring, very good dining area, living room has a cozy wood burning fireplace, all windows have screen doors for your comfort. The upper floor has a large master bedroom and a good size 2nd bedroom plus a bonus den that can be converted to 3rd bedroom. Walking distance to all shopping and transportation. Call us anytime for your private viewing! Beautifully cared for 5 bedroom, 2 full bath home located on a quiet cul-de-sac in the Port Guichon area. Updated laminate flooring, crown moulings and custom paint throughout the main floor make this house feel like home and the TWO wood burning fireplaces are warm and inviting. Recent updates also include NEW ROOF and NEW FURNACE(2008). The large yard has a newer underground irrigation system, a fully wired 12 X 15 workshop as well as a separate shed. 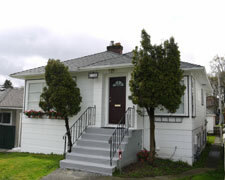 Double glazed windows throughout; this property is walking distance to schools, transit and the Ladner dyke.